Six planes are heading to six remote First Nations communities this week full of food prepared by volunteers based in Leamington. 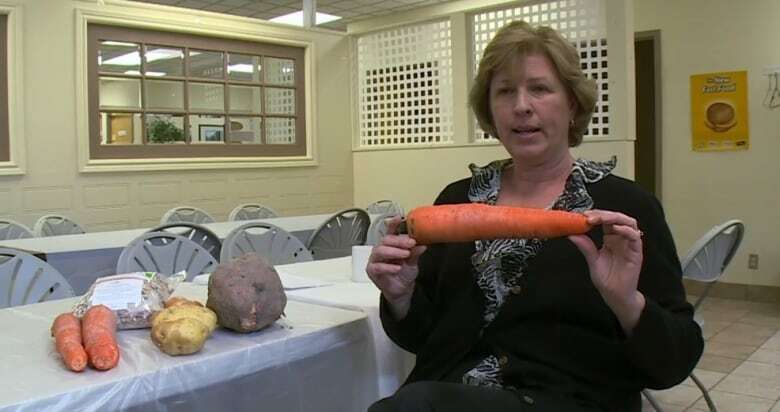 Alison Klassen holds an orange carrot that's nearly as thick and wide as a can of Pringles. 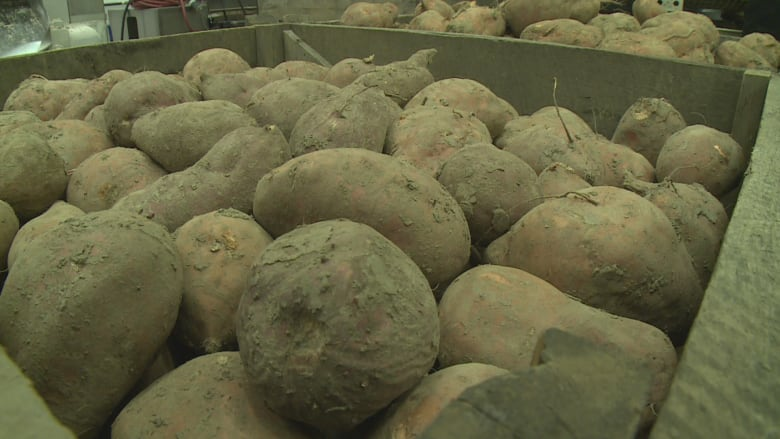 That giant carrot is set to be sliced up along with thousands of other similar-sized vegetables then dried out and packaged as soup mix to be sent to six remote First Nations communities in northern Ontario this week. How do you get over 40,000 pounds of food to remote First Nations communities? "It's a beautiful carrot," said Klassen, describing the produce that was donated by growers in the Leamington area. "It's just big, they would throw these out," she said, explaining the vegetable is simply too big for processing machines. But it's not too big for the Southwestern Ontario Gleaners powerful processors: volunteers. Every weekday at 8 a.m. a group of dedicated seniors put on hair nets, slide on sanitary gloves and grab a seat beside a rotating conveyer belt. On that belt are not-so-pretty peppers and those oversized carrots that growers may not be able to sell to grocery store suppliers. "What we do here gives life to many people," said Tina Quiring, Chair of the Southwestern Ontario Gleaners in Leamington. She helped start this chapter about five years ago. On Tuesdays high-school students file in to volunteer their time. Most mornings the line is full of seniors who have turned feeding the hungry into a hobby. 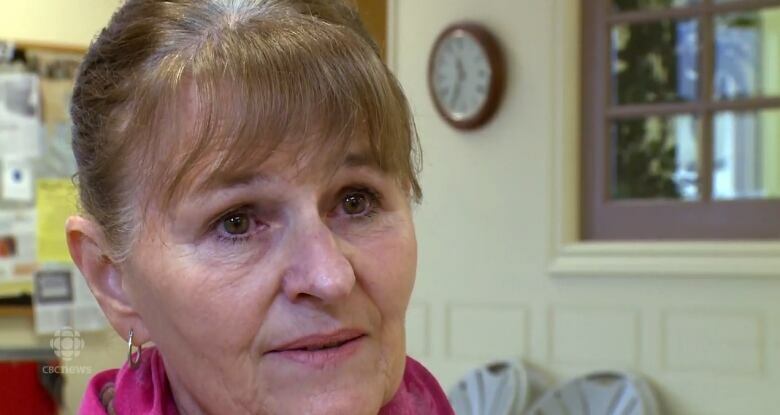 Gleanors are a not-for-profit, volunteer-run organization with a few paid employees — all of who have a hand in creating "miracles," according to Quiring. "There are miracles happening here everyday," she said, choking up as she thinks of the food that once was waste but will now feed thousands. The group will send 250,000 servings of food to six remote First Nations communities as part of CBC Thunder Bay's annual Sounds of the Season food drive. Help people. Win prizes. Make cool things. Introducing CBC Windsor's activity calendar! On the 15th, the planes full of food will travel from Thunder Bay to Neskantaga, Sandy Lake, Sachigo Lake, Weagamow (North Caribou Lake), Marten Falls and Kasabonika. Wasaya, North Star Air, Perimeter Aviation and KBM Forestry Consultants have volunteered planes for the effort. RFDA - 570 South Syndicate Ave, Thunder Bay, ON.